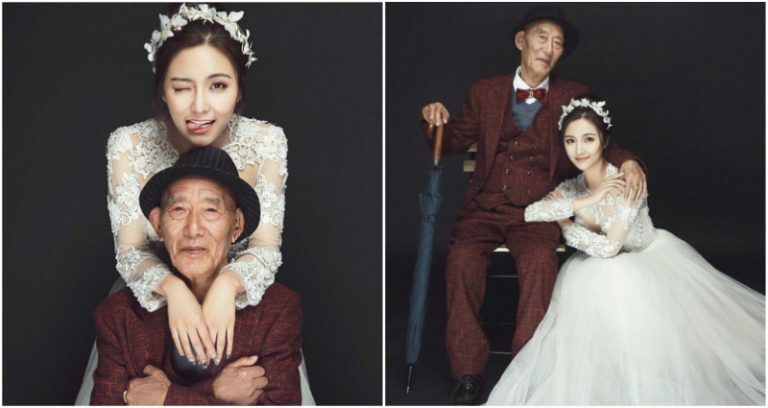 This might be the most romantic gift anyone could give to their grandparents: a set of nuptial pictures to help realize their biggest wish. 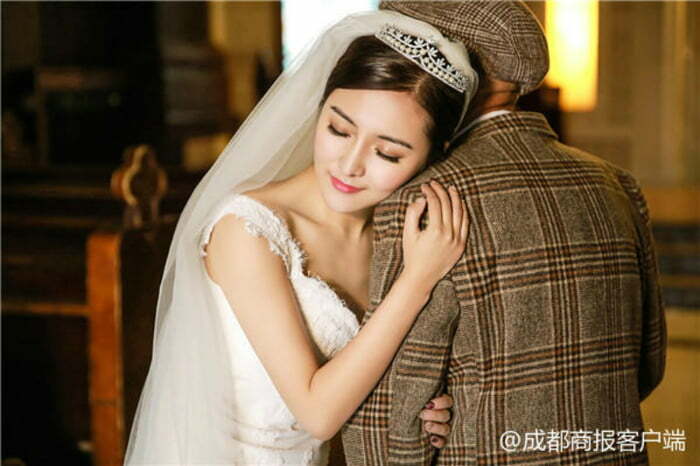 A 25-year-old woman from China has recently posed for a series of touching pictures with her grandfather while wearing a wedding dress because he has always wanted to see her become a bride. 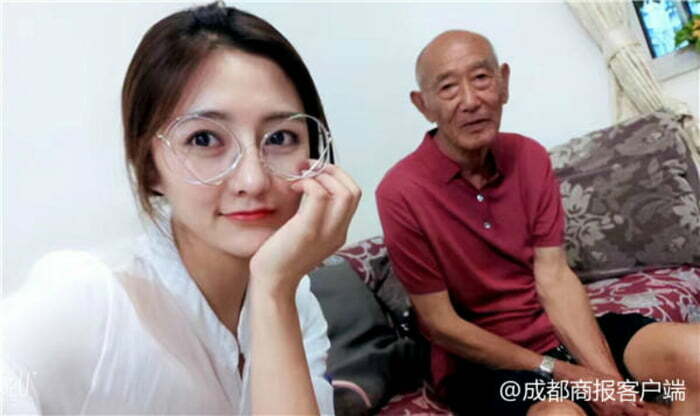 Fu Xuewei said she doesn't plan to get married any time soon because of her career, but she is not sure if her 87-year-old grandfather, who is seriously ill, would live long enough to see her tying the knot with someone. 'Because I don't know if he could live long enough to see that, I wanted to make sure he could do that now.' 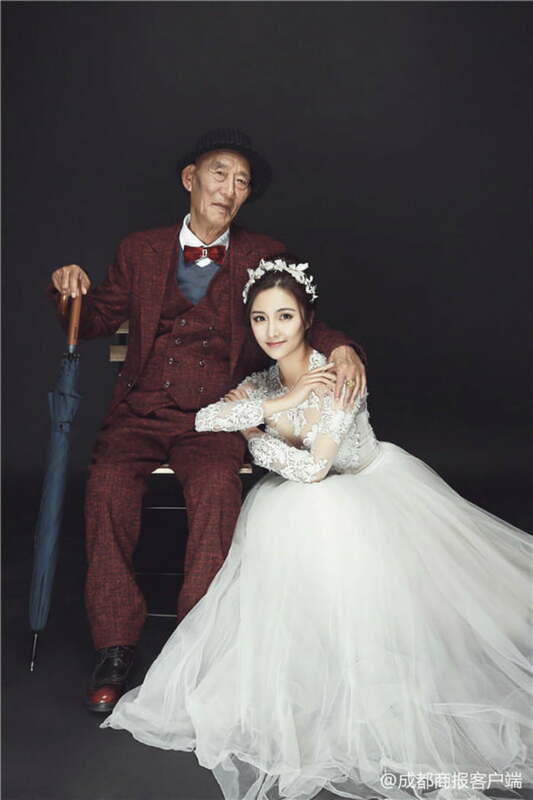 She grew up with his grandparents after her parents separated when she was around 10 years old. 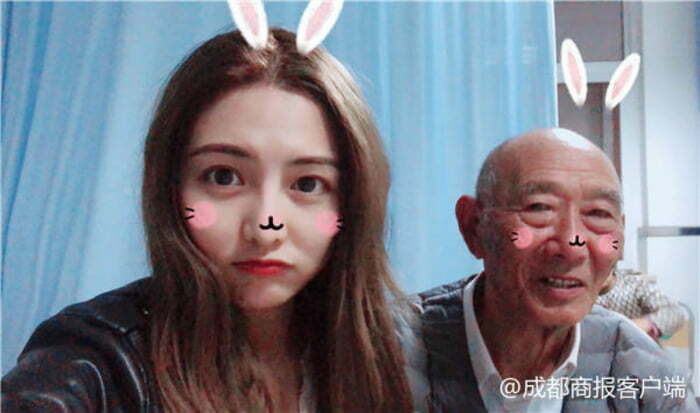 She formed a deep bond with her grandmother and grandfather and has always treated them as close friends. 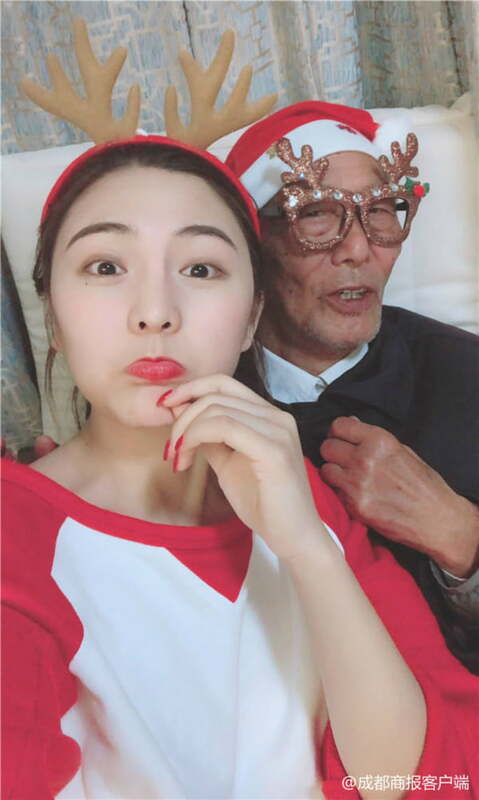 Ms. Fu said her grandfather is a 'macho man', but he has always spoilt her. 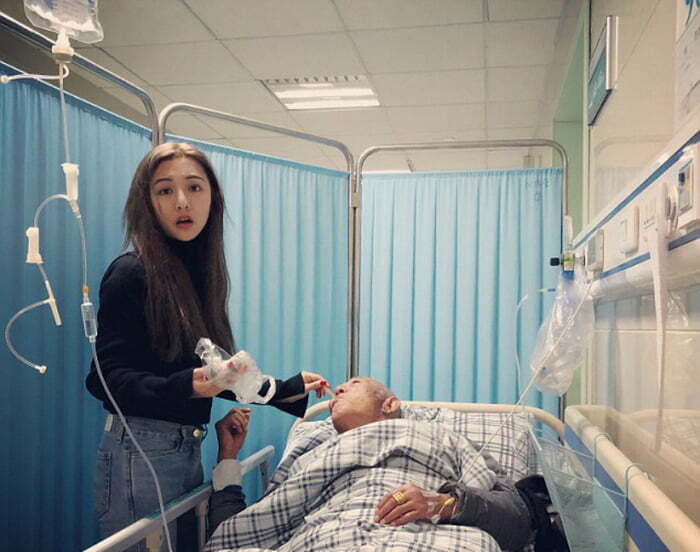 However, everything changed when her grandfather fell seriously ill. Doctors told Ms. Fu her grandfather's condition was critical and he could pass away any time. 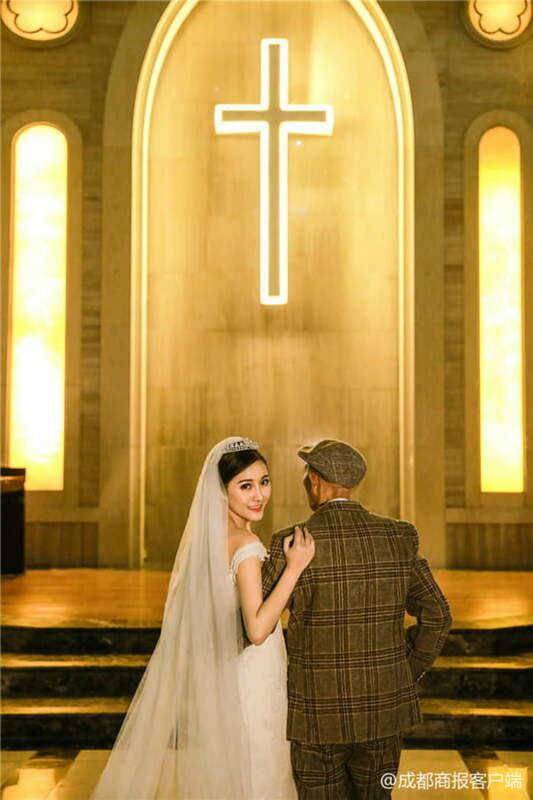 This changed Ms Fu's perspective on life and family. 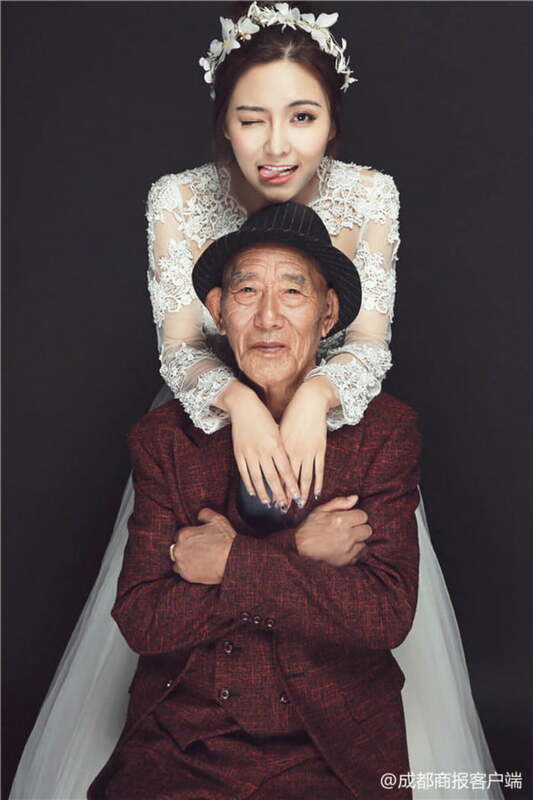 She said she decided to cherish every single moment with her grandfather and took this awesome wedding photo with him. 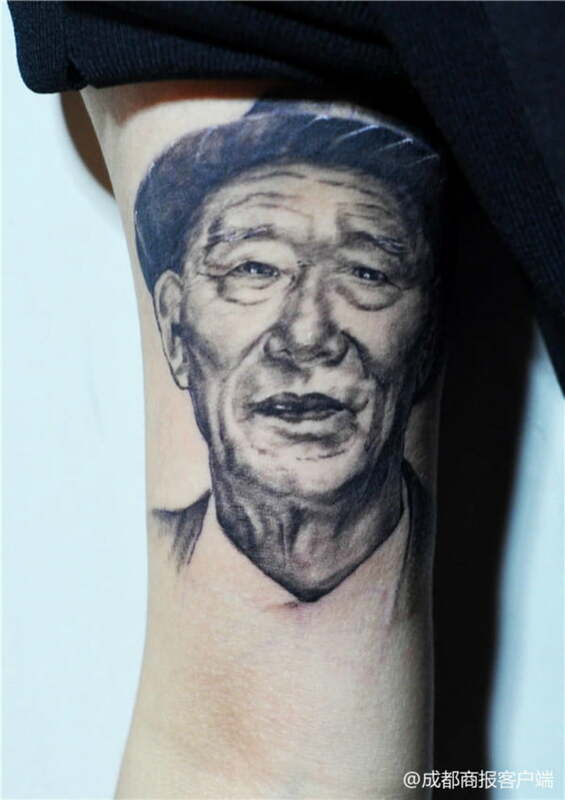 Apart from the pictures, Ms. Fu has had her grandfather's image tattooed onto her arm. 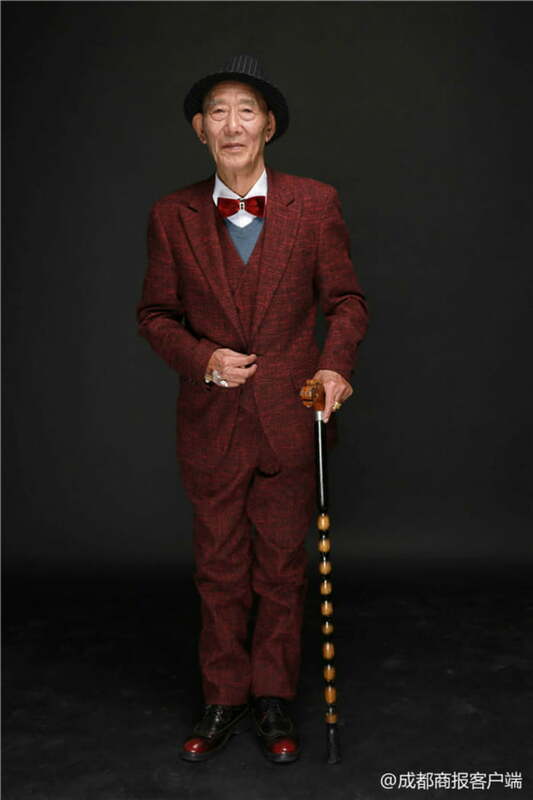 'I had my grandfather's portrait tattooed on my arm in January because I want my new friends and my children to be able to know what he looks like in the future, constantly reminding me of him.."